This online engineering PDH course provides a basic understanding of AC generators and motors, explaining how to use them, how to calculate power, and determine torque considerations. An alternating current generator, or AC generator, produces an alternating current, which means the voltage produced alternately reverses from positive to negative polarity, producing a corresponding change in the direction of current flow. Much like a DC generator, an AC generator requires a coil to cut across the force lines of a magnetic field. This coil is attached to two slip rings, which deliver the current to and from the load destination, thus completing the circuit. Alternating current generators are often called "Alternators". An alternating current motor, or AC motor, uses electrical energy to produce motion and torque. Very simple AC motors are called "Squirrel Cage Motors"; these have only one or more stationary coils within which a special kind of mechanical rotor is free to rotate. There is no electrical connection to the rotor from the outside. Most AC motors require a starter, or method of limiting the inrush current to a reasonable level. Types of motor starting include reactive (capacitor start and inductive start), and electronic (frequency drives and soft start drives). The reactive start method is usually used on fractional horsepower motors, and the electronic method is usually reserved for larger motors. 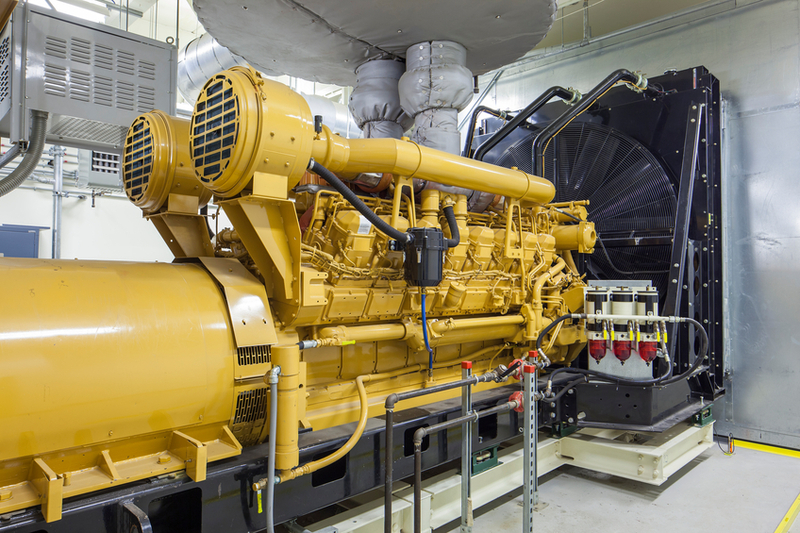 This 3 PDH online course is applicable to students, professional engineers, service technicians, energy auditors, operational & maintenance personnel, facility engineers who are interested in gaining a better understanding in AC generators and motors. In this professional engineering CEU course, you need to review Chapters 3 and 4 of Module 5 titled "Alternating Current Generators" and "Alternating Current Motors" of the Naval Education and Training Materials (NAVEDTRA 14177), Electricity and Electronic Training Series. Once you complete your course review, you need to take a multiple-choice quiz consisting of twenty (20) questions to earn 3 PDH credits. The quiz will be based on Chapters 3 and 4 of Module 5 of this NAVEDTRA publication.